Disclosure: This post is sponsored by Target. 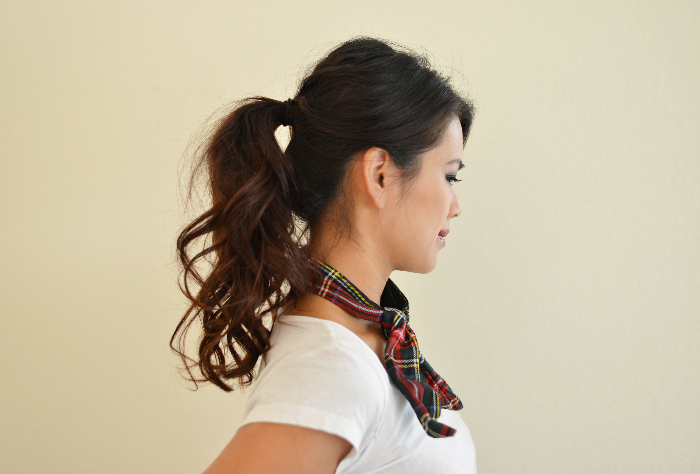 Plaid will always be a timeless print for all seasons! Over the years, plaid has influenced many of my favorite fashion trends, such as the rebellious punk movement to the, 90's Clueless schoolgirl prep to Nirvana grunge. For this post, I will be sharing with you three different plaid-inspired hairstyles using Sarah Potempa "Beachwaver S1" curling iron and Target plaid hair accessories. My first impression of Sarah Potempa's "Beachwaver" was how fast it heated up! Within a few minutes, you can increase the temperature range from 290 to 410 degrees. 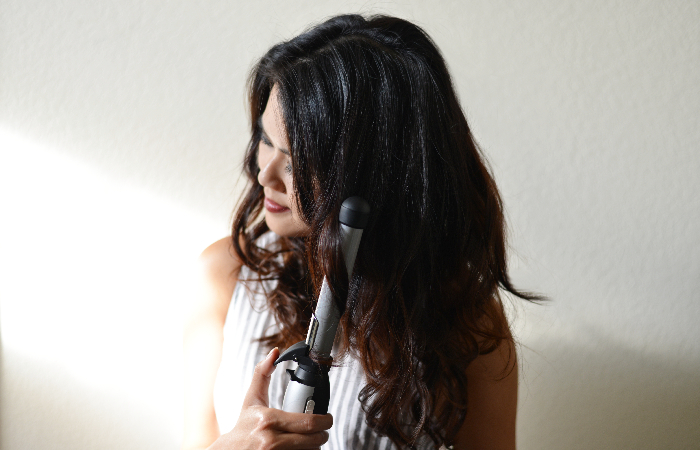 Second, I love how easy it is to curl my hair using the rotating barrel. 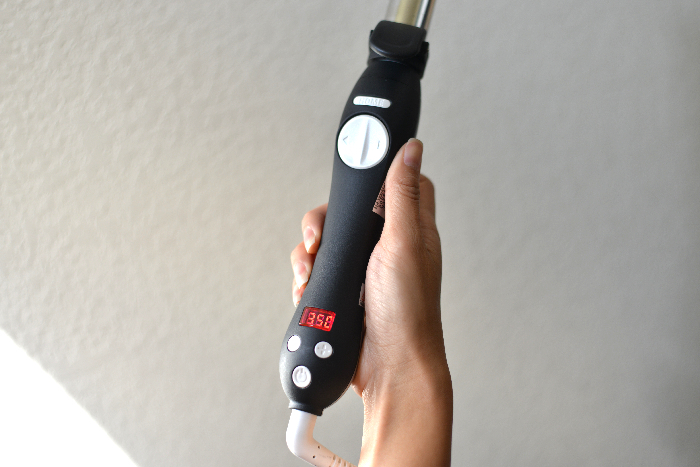 The curling iron rotates at the push of a button and saves you so much time without manually wrapping your hair. 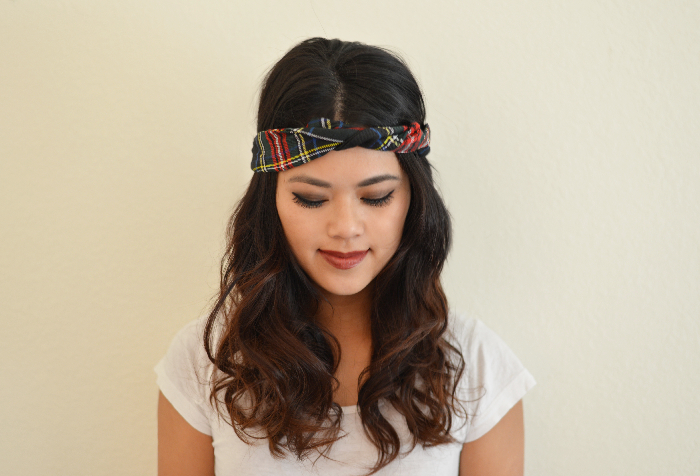 To secure my hair, I used a Remington "Green Plaid Bendable" head wrap and "Red Plaid and Black Flat" elastics. I finished with a beauty look using Sonia Kashuk Grand Bazaar collection! The vintage wine Liquid Lip goes on so smooth and is the perfect rich color for fall!